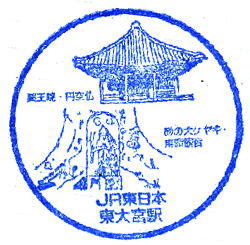 Stamp from the station, with an Enku Statue.
. Enku Temples - INFO .